Angry residents turned out in force to protest against Milton Keynes Council’s adoption of a key planning blueprint. 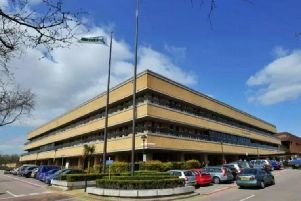 Speaking from a packed public gallery they said that they knew nothing of Plan:MK when they presented petitions and voiced outrage at Wednesday’s crunch Full Council meeting. “There is a lot of anger,” said another resident, who wanted to know why the Caldecotte/Bow Brickhill area had been added into the plan at the last minute. Another resident, Catrina Thompson, presented a petition with 1,500 names. But he explained that the council was told at a late stage that it had to provide sites for housing. The plan sets out where the city will take a minimum of 26,500 new homes by 2031. It also sets out places for employment land, and this includes a site in the Caldecotte and Bow Brickhill area, despite residents saying there are huge empty warehouses waiting to be occupied elsewhere in the city. The debate centred on whether the plan needed to be in place to protect the city against ‘speculative development’. But Lib Dem member of the Development Control Committee, Cllr Rex Exon said Hanslope village had been forced to take 300 extra homes because there had been no Plan:MK in place. And he reminded Cllr Marland that the south east of MK had been given assurances that they would not be developed. But he claimed there had been pressure from developers and “meetings held behind closed doors, where there were no minutes taken or recordings made. And Cllr Jenkins said: “It’s not nimbyism. There will be 6,000 extra cars and the countryside will be concreted over. Traffic will come to a standstill. But Labour’s Pauline Wallis made a plea for the younger generation. 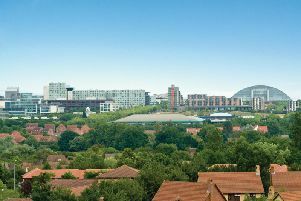 Conservative leader Alex Walker warned that Labour’s vision to see the city grow to a population of 500,000 people would create huge pressures on MK’s structure. “Don’t put your pitchforks away yet,” he told objectors. But Cllr Mick Legg, the cabinet member responsible for Plan:MK said the development of more detailed masterplans would mean lots of future consultations as the i’s are dotted and t’s are crossed. “The plan is not perfect but it is good and it certainly protects us from speculative development,”” he said. Plan:MK was passed by 40 votes in favour, with four against and nine abstentions.